Winter is the perfect time to plan a getaway. There are not only a multitude of days off but also the more relaxed state that everyone is in helps you feel that when you are on vacation during the winter that you won’t have a mess of work waiting for you. 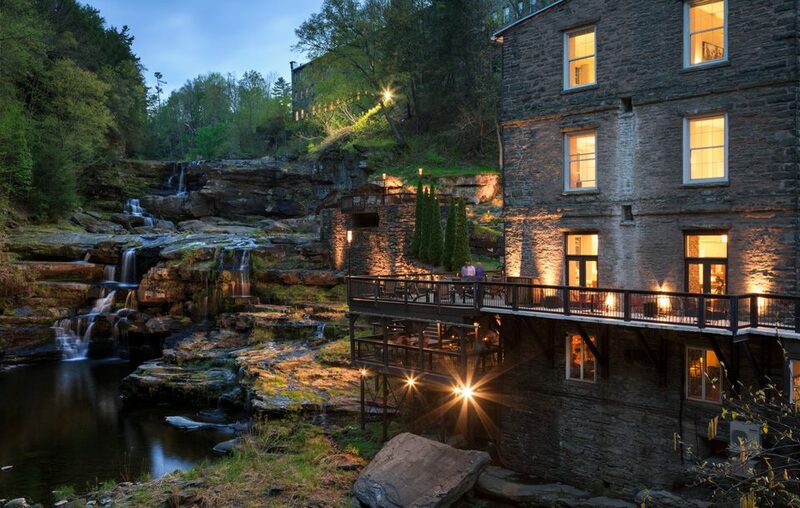 One of the perfect places to escape is the Pocono Mountains. Enjoy the snow, the wildlife, being outdoors, and more. When you start to poke around at to where you will stay, one thing we all do is see if the hotel has any weekend getaway packages going on because who doesn’t like to save money? We at Ledges Hotel are just the same and we have amazing weekend getaway packages that we love offering to our guests. While some of them aren’t always the same, here are the weekend getaway packages we have going on right now. Bed and Breakfast: Want to stay with us and enjoy a hearty breakfast? Then have a look at our Bed and Breakfast package. It includes a stay with us and a delicious breakfast at our sister property, The Settlers Inn. Bed and Breakfast and Dinner: For some of us, we want to have our meals taken care of so we don’t have to worry about it. Then this weekend getaway package is perfect for you. 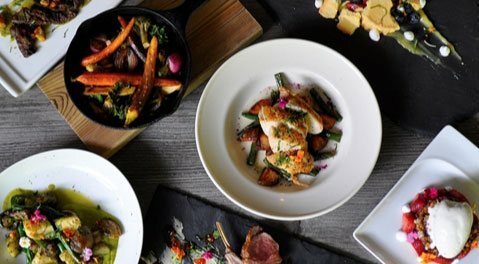 You get everything you see in the Bed and Breakfast package as well as a $75 voucher for dinner at our in-house restaurant, Glass. Java Jive: It has been said that coffee can be a life force that can take the most bleary eyed of us and jolt us awake. Here in the Pocono Mountains, we highly suggest you try our coffee and you can when you book this weekend getaway package. It includes 2 handcrafted mugs as well as a $15 voucher to Cocoon Coffee House. Max’s Wagaway: If you want to bring your favorite pet to join you on your trip, we have plenty of pet-friendly rooms available and be sure to pamper them with this package. It contains daily treats, food and water bowls, a map of Max’s favorite hiking trails, and a new chew toy. Suite Serenity Retreat: Of all of the weekend getaway packages, this one will offer the most relaxation. When you book this, you will get 2 nights in our deluxe suite or 1 or 2 bedroom suites, an in0suite couple’s massage, a gift basket filled with spa amenities, a Welcome Wine & Cheese that you can enjoy in your room or on our decks, and a full breakfast at The Settlers Inn each morning. Fire and Ice Getaway: Going on until March, this is one of the best winter weekend getaway packages that we offer. When you book you get a 2-night stay, a $75 dinner voucher for Glass and a $125 dinner voucher for The Settlers Inn, breakfast each morning at The Settlers Inn and a $25 voucher for Cocoon Coffee House. 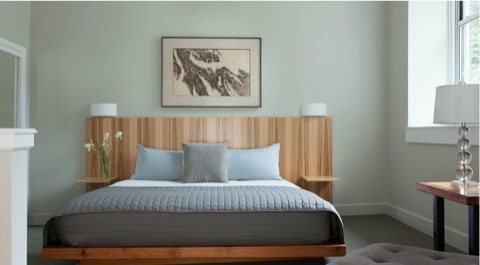 Winter Comfort Getaway: This package is great for those who can join us during the week and includes a 1-night stay, breakfast at The Settlers Inn and a $75 voucher for Glass. Stay and Ski: We are fortunate enough to have a fantastic ski resort close by! When you book, you will get not only your accommodations but also lift tickets to Ski Big Bear and breakfast at The Settlers Inn. Eagle Watch: For the bird lovers out there, the Pocono Mountains are filled with so many different species that it is a bird lovers paradise. When you choose the Eagle Watch package, you will get a stay with us, a thrilling talk with a representative from the Eagle Watch Institute and tickets to the Eagle Institute. New Year’s Getaway Package: New Year’s Eve is one of the biggest holidays of the year and a time when people enjoy a trip. We have a wonderful package set up which includes, a 2-night stay, a delicious New Year’s Eve dinner with entertainment, a midnight toast, and breakfast at The Settlers Inn on New Year’s Day. Valentine’s Day Package: Looking on to the next holiday is Valentine’s Day, a day to show your partner how much you love them. Why not whisk them away to the mountains and enjoy our Valentine’s Day package! Enjoy a 2-night stay, a welcome glass of wine, a gourmet basket of chocolates, a dozen red roses, a $75 dinner voucher to Glass and breakfast at The Settlers Inn for one of the mornings. As you can see, there are so many fantastic weekend getaway packages for you to enjoy that it might be hard choosing just one. 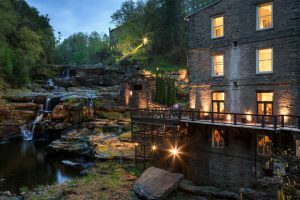 When you do decide to come to the Pocono Mountains, consider staying with us at Ledges Hotel and enjoying one of these weekend getaway packages. All you will need to do is show up and relax and let our staff handle the rest. 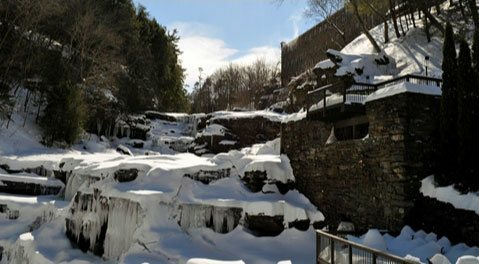 Contact us today and start planning a trip to the Pocono Mountains for this winter. Wondering Where to Have Brunch? — Go Cross-Country Skiing and Snowshoeing This Winter!